Spelt flour is a product made from spelt, an ancient grain that has been consumed by humans for thousands of years. 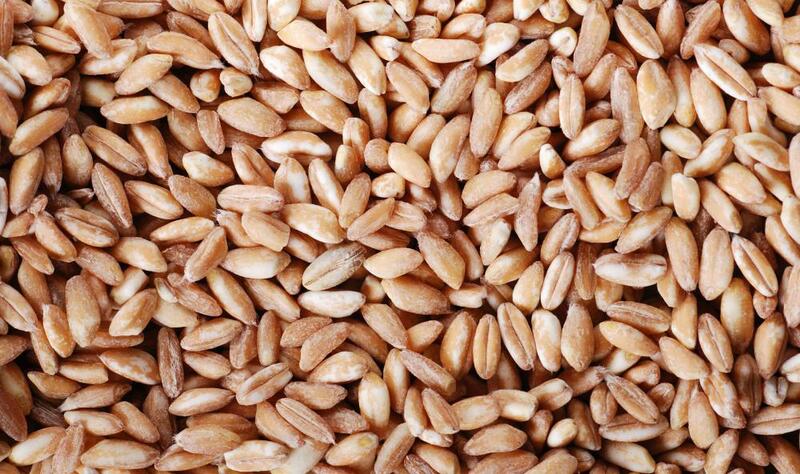 It is also known by several other names throughout the world, including farro, dinkle, and farrum. Similar to wheat, this nutty grain can be used in breads, pastas, and other flour-based foods, although it needs to be handled carefully to avoid chewiness. When compared to other grains, spelt flour is relatively nutritional, although it does contain gluten. Up until the early 1900s, spelt was one of the most popular grains in the world, especially throughout Europe where it is one of the first grains known to be turned into bread. During the 1900s, spelt was primarily replaced with the easier-to-process wheat, although it is still sold all over the world as a health food. The majority of the world’s spelt supply is grown in southeastern Europe and Iran, although several organic farmers in the United States also grow a relatively small amount of this crop. This type of flour can be used in a variety of breads, and can replace wheat flour in most recipes. It is a popular ingredient in health food breads, and is one of the primary ingredients in Ezekiel bread, a type of baked good that is believed to be nutritionally complete. It is also commonly used in products labeled as whole grain pasta, in both dried and fresh forms. When spelt replaces wheat flour, it typically provides the finished product with a significantly nuttier flavor. While cooking with spelt flour, especially when using it in place of wheat, it is important to avoid over-kneading the dough. The gluten in spelt flour breaks down much more quickly than the gluten in wheat flour, and over-mixing can result in a tough, chewy finished product. Nutritionally, most doctors and nutritionists consider spelt flour a healthy whole grain. Per serving, it has a few less calories than wheat flour and is slightly higher in protein. Compared to other grains, spelt does lack a significant amount of fiber, the primary nutrient that aids in one feeling full for longer. Spelt flour is high in manganese, which helps to maintain blood sugar levels; niacin, which helps to control cholesterol; and phosphorus, which works with calcium to build and maintain strong bones. Products made with spelt flour are often not safe for those with a gluten intolerance. Despite this, it causes significantly less reactions in those with general wheat issues. Spelt flour can, however, cause issues for those with celiac disease, and should only be introduced into a diet under the advice of a healthcare professional. What Is the Difference between Spelt and Wheat Flour? What Is the Difference between Spelt and Wheat? How Do I Identify Gluten-Free Ingredients?